Upon his arrival in Vietnam, First Lieutenant Robert John Kuhlman, Jr. was assigned to Marine All Weather Attack Squadron 242 (VMA(AW)-242), Marine Air Group 11, 1st Marine Air Wing at Da Nang Air Base. On 17 January 1969, the Squadron’s Mission 6363, a direct air support mission, was originally assigned to the Squadron Executive Officer, Major Luther A. Lono. Something precluded Maj Lono from flying the mission and it was reassigned to Captain Edwin James Fickler and his bombardier/navigator, 1stLt Robert J. Kuhlman. Their A6A Intruder aircraft launched out of Da Nang Air Base on schedule at 20:43 under call sign “Ringneck 363” to rendezvous with an Army Forward Air Controller, CAPT Charles A. Thomas, call sign “Redeye 05.” For the previous 6 weeks, VMA(AW)-242 had been supplying daily direct air support/armed reconnaissance flights against enemy infiltration routes in the A Shau Valley after 20:00. The objective of the daily flights was to interdict truck traffic attempting to supply NVA forces in the A Shau Valley. The squadron’s flight would typically report on station at 21:00 and be vectored to targets of opportunity identified by the airborne Army FAC. There were NVA anti-aircraft gunners active in the A Shau Valley that evening, as the FAC had advised “Ringneck 363” of Anti-Aircraft Artillery (flak) at 10,500 feet at 21:10. The meteorological conditions on 17 January in the A Shau Valley were “Cloudy with 500 feet broken, 8000 feet overcast and visibility 7 miles.” The terrain of the A Shau Valley is best described as rolling to mountainous ascending to 6000 feet above sea level. Fifteen minutes after reporting the flak (21:25), the FAC noticed a target in the northern end of the valley and passed it to “Ringneck 363.” Capt Fickler and 1stLt Kuhlman would have engaged their Airborne Moving Target Indication radar to identify the truck and begin the planning and execution of the strike. Shortly thereafter, the FAC observed what he thought at the time was Cluster Bomb Units exploding followed by a secondary explosion, which the FAC assumed to be 500-pound bombs. The explosions took place on the far side of a hill, so they were not directly observed, but they did back light the hill. At 21:45, Redeye 05 attempted to contact Capt Fickler with another target but there was no radio response. The FAC later concluded that what he had thought were CBUs might have been anti-aircraft fire and the secondary explosion of the crash of “Ringneck 363.” The aircraft was declared overdue by the Squadron at 22:15. All potential diversion airfields (Ubon AFB, Udorn AFB, and Chu Lai) were contacted and it was determined that the flight had not diverted to any of those bases. Search and Rescue efforts were initiated by the squadron at 22:25. Electronic search by MAG 11 aircraft was immediately initiated and continued through the night. Sophisticated visual, electronic and photographic searches continued for almost five days, but were concluded with negative results at 12:30 on 22 January. The location of the loss was reported as YC470921. 1stLt Kuhlman and Capt Fickler were both lost in the crash. The two aviators were initially carried as MIA; however, Capt Fickler was declared dead on 4 February 1974 and and his status was changed to Died While Missing/Body Not Recovered. 1stLt Kuhlman’s status was changed to Died While Missing/Body Not Recovered on 16 June 1978. Since the end of the Vietnam War, the Joint POW/MIA Accounting Command has conducted several interviews in the hope of identifying the crash site and remains; however, to date nothing of substance has been found. On 12 May 1994, a Joint Field Activity team from the Joint POW/MIA Accounting Command investigated a 500 meter by 500 meter area centered on the last reported coordinates without finding any traces of aircraft wreckage. On 11 December 1995, The Deputy Assistant Secretary of Defense for POW/MIA Affairs wrote to Capt Fickler’s next of kin advising that the Defense Department would defer any further active field investigation seeking his remains until new leads were discovered. To date, no new leads have been developed. 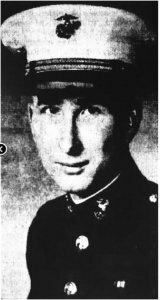 1stLt Kuhlman and Capt Fickler died in the A Shau Valley in Thua Thien-Hue Province west of the Imperial City of Hue. During the time that 1stLt Kuhlman was in MIA status, he was promoted to Major. The name Robert J Kuhlman Jr is located on Panel 34W Line 25 of the Vietnam Veterans Memorial Wall.